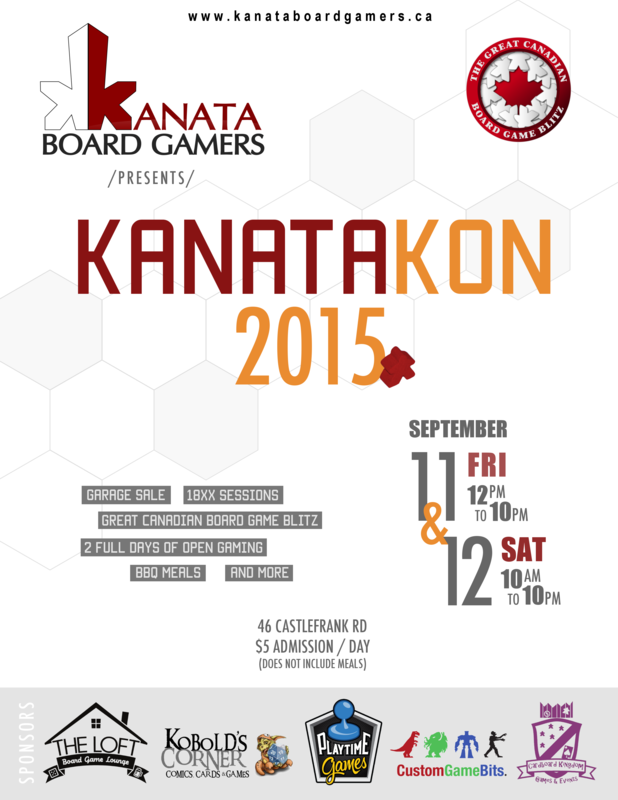 Kanata Board Gamers' 3rd annual KanataKon will be a 2-day event his year. So come out and join us for twice the fun, September 11 and 12. Meals will be available for purchase for dinner Friday, and both lunch and dinner Saturday. We'll be running some BBQs with the typical fare (burgers, sausages, etc) with some sides and other delectables. For all those train-game lovers, we'll be running two tables dedicated to 18XX games. Want to try your hand at a gauntlet of games? We'll be running another Great Canadian Board Game Blitz at this year's KanataKon. If the variety of GCBGB is not your thing, perhaps a go at the Terra Mystica tourney will be up your alley. Looking to prune your collection of games you rarely play? Bring them to KanataKon. We'll be setting up a table where you can sell your used games to other con-goers. 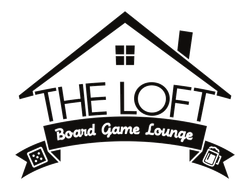 If you're looking just to play some games, we'll have a sizeable collection of 200+ games with plenty of open tables to play them. Don't know the rules? There will be con organizers helping to explain rules for many of the games. Planning for this year's KanataKon is underway. Return to this page as details unfold. Or join the discussion on the BGG forum thread.